I have shared a fair bit of information on how to make this understanding work to your benefit. Wax Production methods are greatly benefitted from the strategy of supering from below. 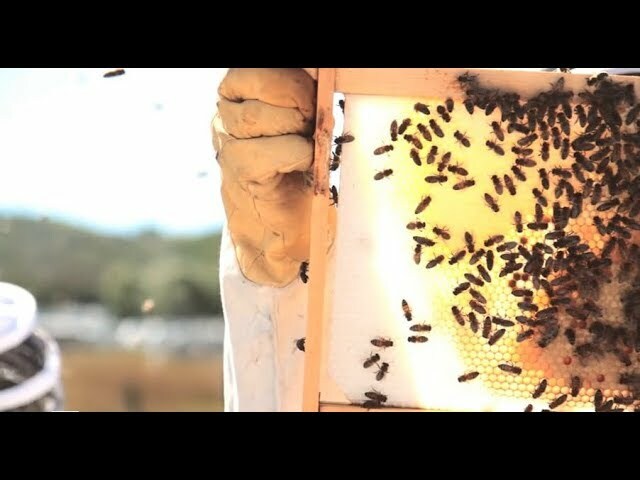 The greatest way you can keep your hive moving and increase bee populations is by Swarm Suppression and profitably increasing the brood nest size. Once you have the commodity of wax, you are well on your way to take advantage of the honey-flow, especially with a healthy community of bees working away in your hives! I thought I would share with you some pictures on how these things look in action in our A.B.C yards. Remember, if you are going to get your bees to build wax, you want to encourage them to the best of your ability, so DO NOT USE QUEEN EXCLUDERS and encourage their efforts to make comb below, as the bees festoon down to get the nectar from the foragers as well as the queen WANTS to move down, to better regulate hive/brood nest temperature. We believe er have a hive in our wall , we would like to relocate as if we call someone they will just kill the bees. Please advise as healthy bees are precious.